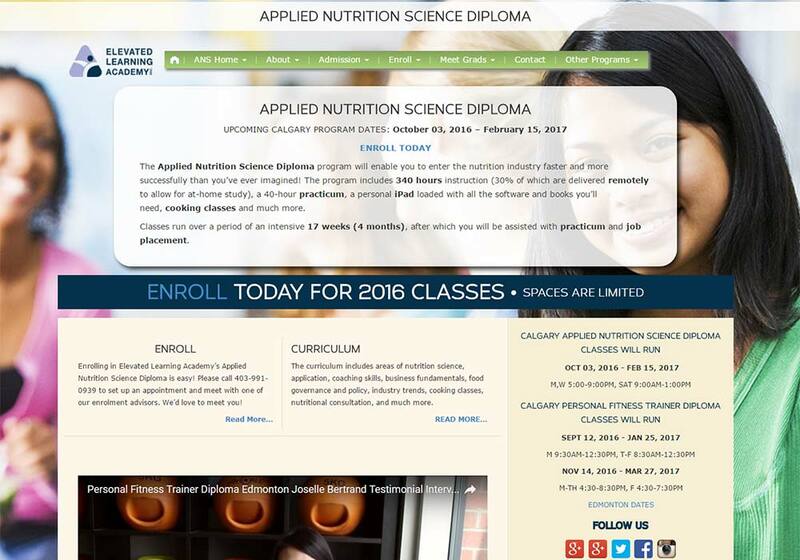 Elevated Learning Academy is the only educational institution dedicated to preventative health education in Alberta, Canada. 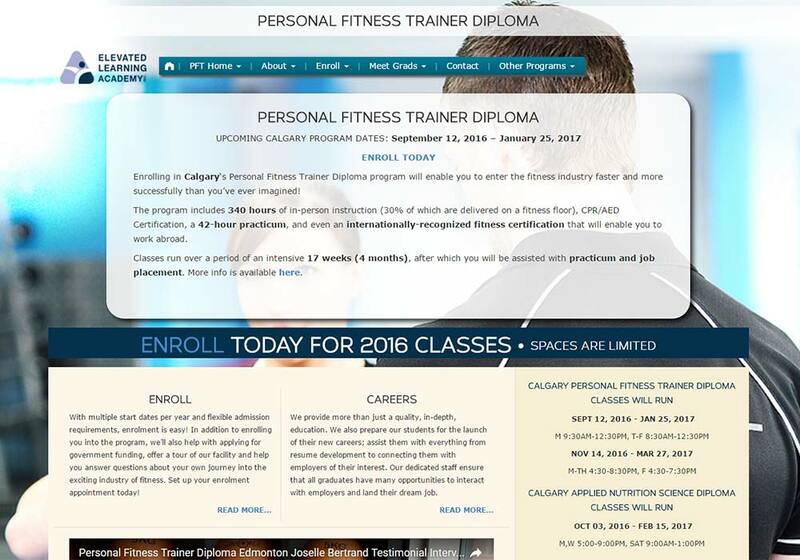 The company uses their website to provide information to current and prospective students about their diploma programs as well as offer a simple solution to enroll into their programs. Zyris developed a custom WordPress template specifically for the company’s needs. 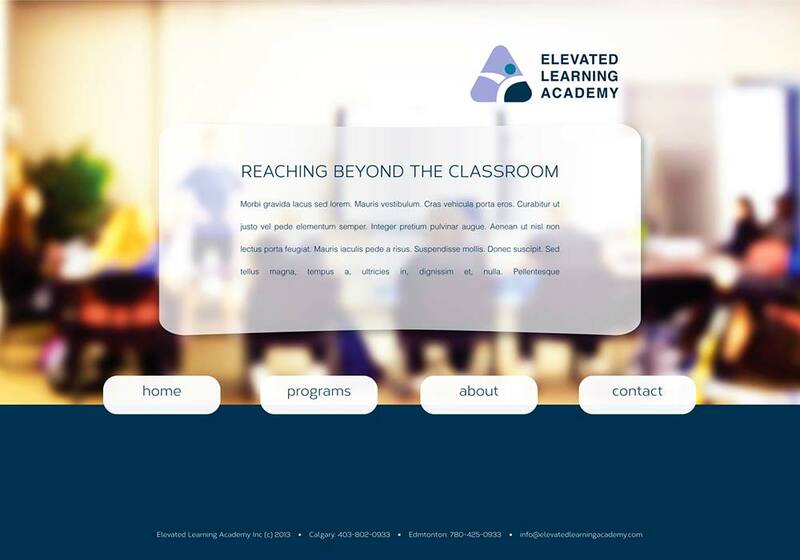 Elevated Learning Academy was looking to update the design of their WordPress based website while maintaining the existing integrity of its data and current functionality. Zyris Software developed a custom lightweight WordPress template for the website while allowing prospective students to enroll in courses through the website’s custom input forms without changing the current business processes of the enrollment department. 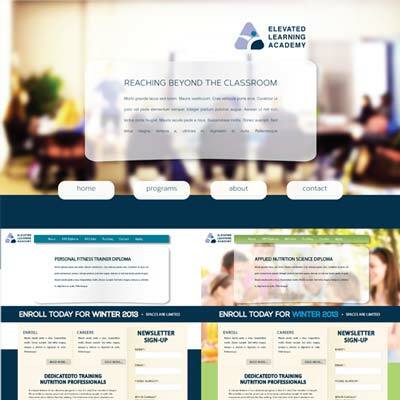 Elevated Learning Academy was able to continue offering information about their courses and collect enrollment submissions from prospective students without changing their enrollment business processes. The custom WordPress template featured an updated lightweight design for optimal website loading times that are recommended by current SEO best practices.